My mom used to have a painting like this of the home she grew up in. I believe she and my aunts and uncles had them made as a gift to celebrate my grandparents anniversary. They make great gifts!! 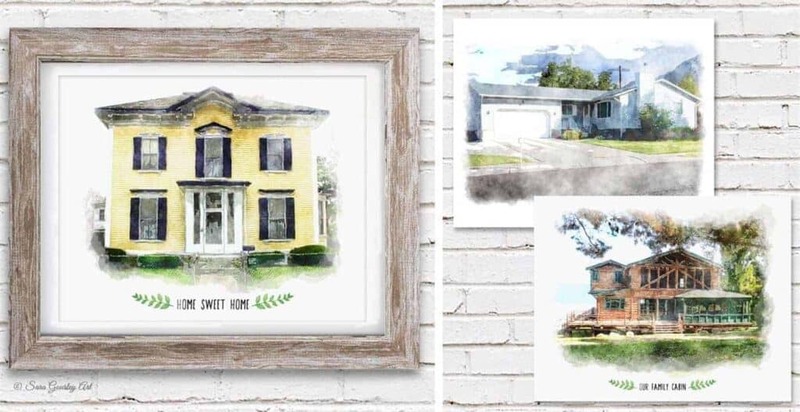 I love these Watercolor Home Portraits! You can get one on sale right now for $18.99 (Was. $64.99). 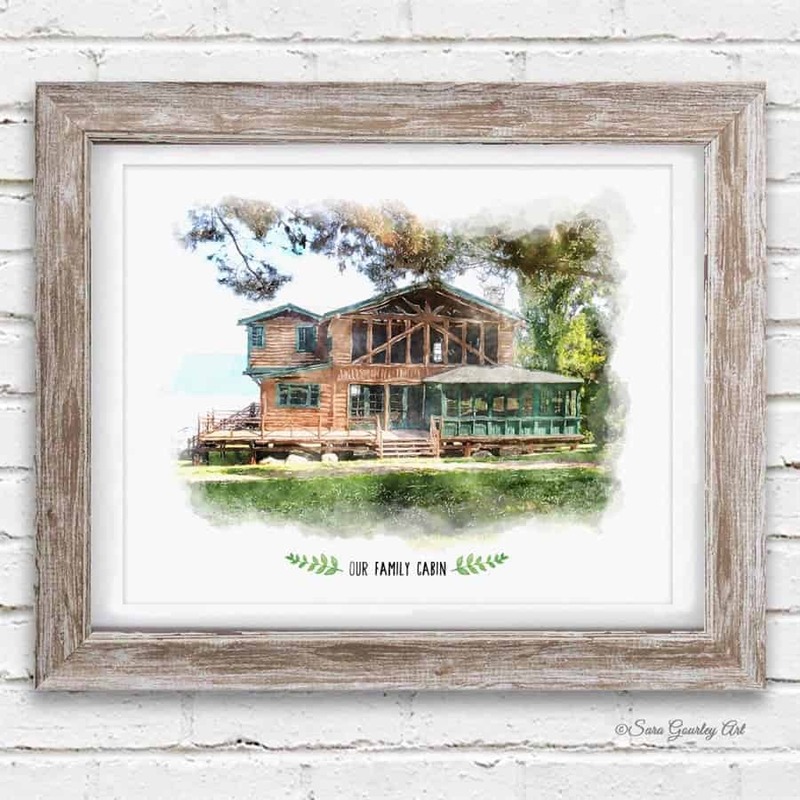 You will love this digital watercolor of your first home, beach cottage, or cabin printed on beautiful textured art paper! Choose to personalize further with 1 line of text with accent watercolor branches.